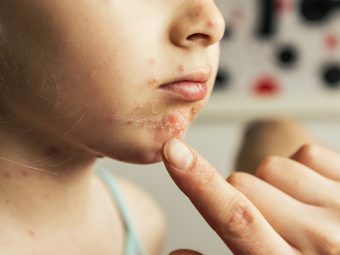 What causes mumps in children? How common is mumps in kids? How long does mumps last in children? How to take care of the child during mumps? The mumps vaccine is part of the compulsory vaccine roster for children in many parts of the world. But did you know, despite vaccination, it is important to protect kids against the virus? Mumps can spread at everyday places like school and daycare centers. So, how does one protect a child from it? Does it have a treatment? This MomJunction post gives you all the information you need about mumps in children. Mumps is an infection of the salivary glands by the mumps virus. The virus usually affects the largest salivary gland called the parotid gland. There is one parotid gland in front of each ear, under the skin. 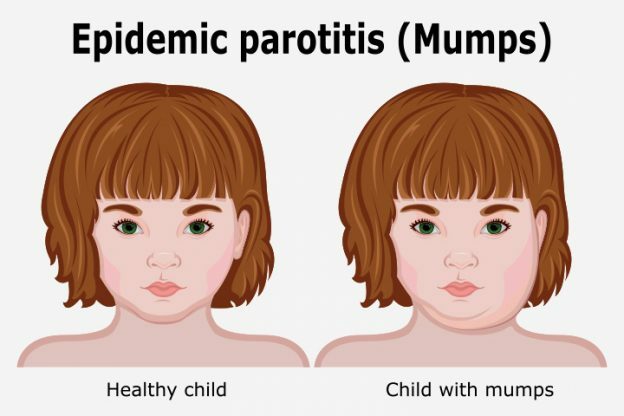 Since mumps affects the parotid gland, the disease is also called infectious parotitis (1). By coming in contact with the saliva or mucus droplets expelled by an infected person while sneezing or coughing. Using or sharing the utensils with an infected person. Touching the surface contaminated by the virus (for instance, when someone with mumps does not wash hands after sneezing and contaminates things that they touch). The mumps virus can transmit even before the salivary glands begin to swell (2). Almost every person in the US had got mumps at least once in their childhood. But the cases of mumps have come down by more than 99% since the introduction of the vaccine in the country (3), according to the US Department of Health and Human Services (HHS). Vaccination has made mumps less common now than before, but precautions are still essential. Children who have not got all the doses of the vaccine could be vulnerable to the disease. 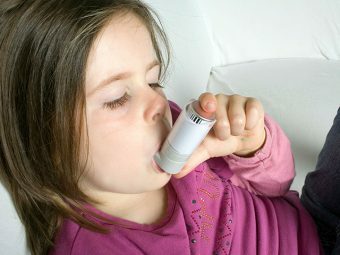 It mostly occurs among children between the age of five and nine years, but older children too can catch the virus (1). Fever: The first symptom is fever. It usually lasts for three to four days. Muscle ache, headache, and fatigue: The child will complain of lethargy and acute muscle pain across the body. Do note these symptoms are generic and not exclusive to mumps. Swelling of the salivary glands: Swelling begins as a small bump below the ear. More fluid gradually accumulates under the skin, causing the swelling to progress to the lower jaw. The cheek swells and may cause the ear to protrude. It may peak 1-3 days after its appearance. Swelling in one parotid gland is common while the other salivary glands present under the tongue and the floor of the mouth may also swell. It is accompanied by pain and tenderness. Loss of appetite: The child loses their appetite. Painful and swollen salivary glands also make it hard for the child to eat anything. The first symptoms of the disease usually appear 16-18 days after contracting the virus. The swollen salivary gland makes the disease evident, and you need to consult a doctor. How Is Mumps In Children Diagnosed? Physical examination: The doctor checks the swelling to distinguish it from swollen lymph nodes. Mumps swelling does not have a clear border unlike swollen lymph nodes. Also, swollen lymph nodes are present behind the jaw whereas the parotid gland is present on the side of the face, below the ear. Mucus and sputum test: Nasal and mouth swabs determine the presence of the virus in the mucus and saliva. Blood test: Blood test checks for the presence of antibodies against the mumps virus. It also helps determine if the virus has spread to the other parts of the body through blood. These tests help to confirm the presence of mumps. There is no treatment for mumps (6). You will have to wait for the immune system to work on the virus. Mumps usually lasts for about a week or two, but may resolve even within a few days. The duration varies depending on factors like the age of the child, overall health, and whether they have been vaccinated. Vaccinated children who get the disease will have a shorter run of mumps and display mild symptoms. Since there is no medicine for the disease, home care is the best way to make the child feel better. Let them take rest: Just like in any other viral illness, the body requires rest to fight the mumps infection. Do not send the child to school and let them have bed rest. The child should avoid playing, running, and other hectic activities. Give more fluids: Make the child drink lots of water. The swelling on the jaw makes eating difficult. 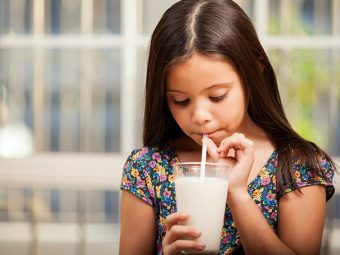 So increase the liquid content in the child’s diet. Give them foods like pureed fruit, meat, and vegetable broth. Administer acetaminophen or ibuprofen: You may give a dose of acetaminophen (paracetamol) or ibuprofen to the child. However, it is good to consult a doctor before giving the medicine, especially if the child is very young, has some other illness, or is on another medication. Home care and attention to the child is essential to help them feel better. But sometimes, the mumps virus may lead to health complications. What Are The Complications Of Mumps in Kids? Meningitis: It is the infection and inflammation of meninges, the tissue covering the brain and the spinal cord. Children who get this complication recover completely. Encephalitis: It is the inflammation of the brain. Most children recover from it. Orchitis: Painful inflammation of one or both the testicles. It only occurs in boys who have attained puberty. Infertility due to mumps-induced orchitis is rare. Oophoritis and mastitis: Oophoritis is painful inflammation of ovaries and mastitis is swelling of the breast tissue. It will only occur in girls who have attained puberty. Pancreatitis: Painful inflammation of the pancreas. Deafness: The deafness can be temporary or permanent. The complications are more common in adults than in children. You may avoid these problems by preventing the infection. 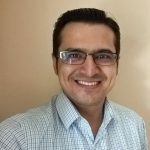 How To Prevent Mumps In Children? Vaccinate: Vaccination is the best way to protect your child from the mumps virus. The vaccine has been found to significantly reduce the number of cases and make mumps nearly non-existent in several communities. Good hygiene: Teach your child to wash their hands with soap after they come from play. If they come in contact with an object used by someone with a fever, then, too, they must wash their hands. Maintaining hygiene mitigates the spread of the virus. Good habits: Tell your children not to share a glass or spoon with someone who is unwell. Also, explain to them the need to cover their mouth and nose while sneezing or coughing. If someone around them sneezes or coughs without covering their mouth/nose, then the child should cover their nose and mouth with a handkerchief to avoid inhalation of droplets of saliva and mucus. The above steps help control the spread of the virus. However, immunization is the best way to prevent mumps. Next, we answer questions about the mumps vaccine. 1. What vaccine should my child have against mumps? Mumps vaccine is a part of the MMR (measles, mumps, and rubella) vaccine. The combination vaccine protects against the three diseases. A newer vaccine, MMRV (measles, mumps, rubella, and varicella), is also available; it works against the chickenpox virus (varicella) in addition to the MMR diseases. The schedule of the MMRV vaccine could slightly vary from that of the MMR vaccine. You may consult your doctor on this. 2. When should my child have the mumps vaccine? Your child needs two doses of MMR vaccine — the first dose during 12-15 months, and the second during 4-6 years. Both the doses are critical for immunity. Missing the second dose will not provide adequate protection against the virus. 3. Are there any side effects of the mumps vaccine? Some of the common side effects are soreness, swelling or mild pain at the site of injection and fever. Temporary pain in the joints might occur if the second dose is given during the teenage. Serious side effects are rare. The MMR vaccine is authorized and declared safe by multiple childcare organizations around the world including the UNICEF (9). 4. Can mumps vaccine cause autism? No. There is no scientific evidence to show that mumps vaccine causes autism. The US Centers for Disease Control and Prevention states that scientists across the world have studied the MMR vaccine, and none has found a link between the vaccine and autism (10). 5. When should I not give mumps vaccine to my child? Allergic reaction to the first shot. In such a case, the child should not get the second booster shot. Those with cancer or undergoing treatment of cancer. Have a constant low platelet count due to a medical disorder. Children who recently had a blood transfusion or were given blood plasma. Children who had another vaccine in the past month. Your doctor will assess the child’s health and tell you whether or not you should give the vaccine to your child. 6. Can my child get mumps even after immunization? Probably, but the chances are very few. Vaccines are made to protect against most cases of exposure and not all. A child will require prolonged close contact with an infected person to get mumps after two doses of MMR vaccine (11). But it is still safe to have a vaccine than leave the child vulnerable without it. Also, those who get mumps even after two doses of the vaccine experience significantly less severe symptoms, recover faster and are less likely to develop complications. Mumps has mostly become a disease of the past for several nations around the world thanks to the vaccine. Most healthcare providers educate parents about the MMR vaccine during their regular visits to the clinic. Vaccination and precautions are all that the child needs to stay protected against the mumps virus. Did you get your child vaccinated against mumps? Tell us about your experience in the comments section below.